As part of our mission to review betting systems we are breaking down the many terms involved in betting in order help you get to grips with them and widen the range of bets you are able to place. Here we look at lucky 15, a term you may well heard if you have ever been to a day at the races. How do you place a lucky 15 bet? What exactly does a lucky 15 entail? Quite a bit, as it happens – 15 bets in total, although you do not win anything for guessing that. The bets that make up a lucky 15 are not the same, though – it is made up from four different selections. The first set of wagers is a four-fold accumulator, which is of course a single bet linking together four selections that is dependent on them coming in together, followed up with four trebles, six doubles and, finally, each selection placed as a single. Each of the selections has the same effect on returns with a lucky 15 bet, so the order in which the bets are placed is not important. When should you place a lucky 15 bet? Lucky 15 bets are extremely popular in horse racing as it is a good way of backing horses that are favourites, but do not offer much in the way of returns if backed individually. A lucky 15 bet means you cover yourself with multiple bets, so when you have a good feeling about a few selections, but do not feel entirely sure, a lucky 15 bet offers effective coverage and a higher chance of a positive outcome. What do you need to win a lucky 15 bet? With so many different results matched up together, getting three selections right will leave you well off even if you miss the fourth. 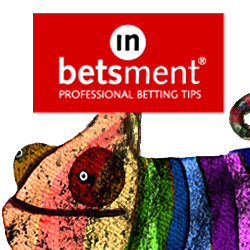 To tempt you, bookmakers often offer a bonus if all the selections come in, often a very reasonable ten per cent extra. There are also consolation prizes available if you only pick one winner out of the four, such as the odds of your sole correct prediction being doubled, which can make up for the loss somewhat. Bonuses are rarely if ever paid on each way parts of a lucky 15 bet though. It is also worth noting that, since lucky 15 bets are usually only available at horse and greyhound racing, if you pick a non-runner it may invalidate the whole bet, or at least the parts of it featuring the defunct selection. Hopefully you now have an understanding of what a lucky 15 is, how to go about making your selections and what returns you can expect if your selections are correct. If you are after explanations of other betting terms and breakdowns of types of bets to further your understanding of betting, you can find these elsewhere on Honest Betting Reviews. These will give you an idea of what type of bets you can place and help you figure out what type of bet will best suit what you are betting on. Fancy making up to £500 per month risk-free? Then check out Profit Maximiser and for a limited time you can get a 14 day trial for just £1 here. What is a Lucky 63 Bet? What is a lucky 31 bet? Alphabet Bet Explained What is a Canadian Bet?